Large Turnout at New Philadephia Library. 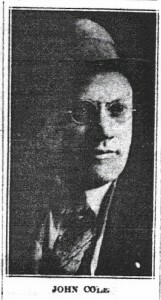 Steubenville Police Chief, Blaine D. Carter, was fired in the 1920’s, from his job. 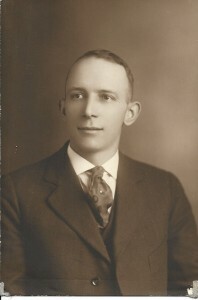 Mob rule was hard to overcome in the days of Prohibition. Some people had to take a fall. He was one of them. See you on Saturday, April 16, 2016, at 10:00 a.m., for the Mary H. Weir Public Library 2nd Annual Author Event. Come and meet many local authors, who will be selling and autographing their books. 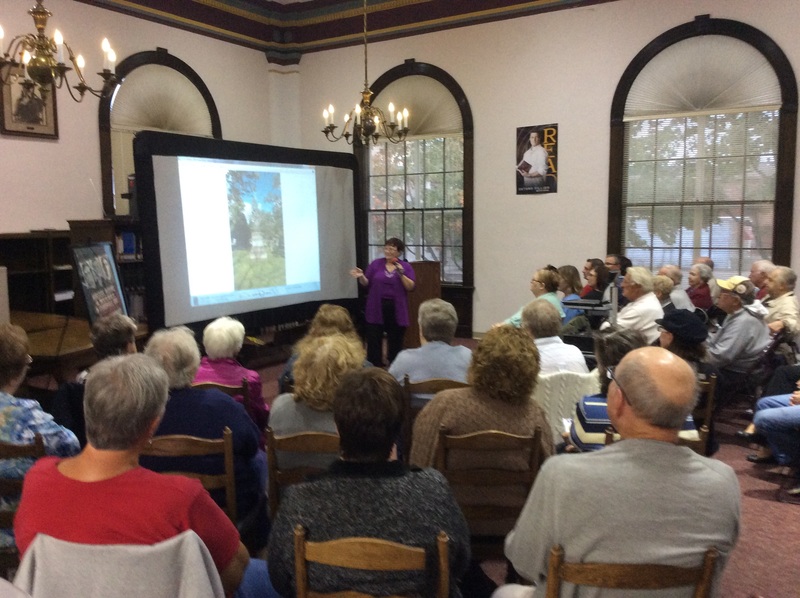 Thank you, everyone who came to the book talk and signing at the New Philadelphia Branch of the Tuscarawas County Library, Wednesday evening. What a pleasant surprise to see such a crowd of people, who made the evening quite pleasant. I enjoyed all the questions and interest that the book has stirred; and I love hearing your stories and input. Thanks, again, for allowing me the opportunity to be a part of your library programs. 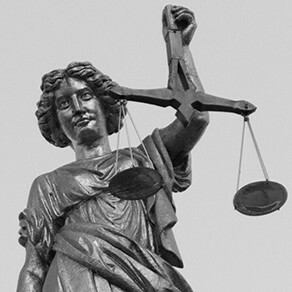 Please join me for a short program, answer and question period and signing of my book, “MOBSTERS, MADAMS & MURDER IN STEUBENVILLE, OHIO, on Wednesday, September 30th, at 6:30, at the New Philadelphia Branch of the Tuscarawas County Library. It should be a great time. Looking forward to seeing you there! 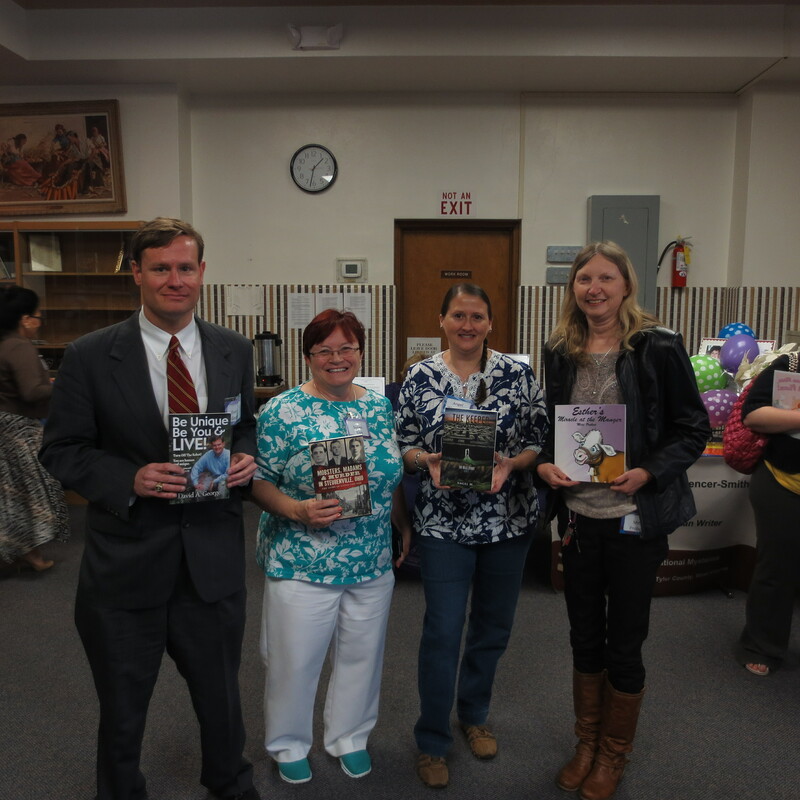 Four authors from the Tri State Writers Society participated in the Mary H. Weir Public Library Authors Event today. Left to right: David A. George, Susan M. Guy, Angel M. and Mitzi Probert. 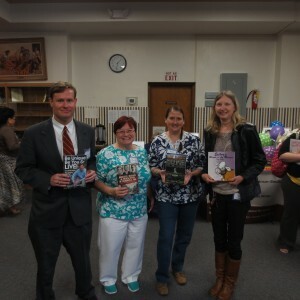 Approximately, twenty-five authors participated in the event, which was a great success. A wonderful day for all! 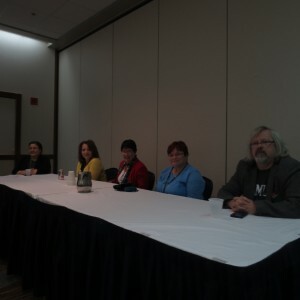 Picture 2: Left to right: Panel mediator (name unknown); True crime authors, Sandra Gurvis, Jane Ann Turzillo, Susan M. Guy and Richard O. Jones. 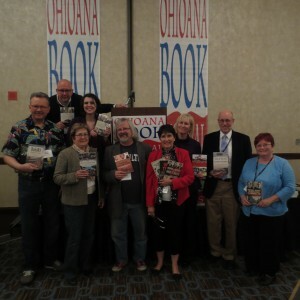 It’s almost time for the Ohioana Book Festival. Come and enjoy a fun-filled day at the Sheraton Columbus meeting 100 Ohio authors, who will be selling their books. I will be there, along with a number of other HISTORY PRESS/ARCADIA PUBLISHING authors. We will be signing copies of our books from 10:00 until 4:30. Hope to see you there on Saturday, April 25th. MAIN STREET MUSEUM, TORONTO, OHIO, on LABOR DAY WEEKEND, Saturday and Sunday, during the 38th Annual Festival of the Arts. TUSCARAWAS COUNTY PUBLIC LIBRARY, on Wednesday, September 30, 2015, at 6:30, in New Philadelphia, Ohio. Hope to see you at the Tiltonsville Library in Tiltonsville, Ohio, at 6:00, on Tuesday, March 31st. 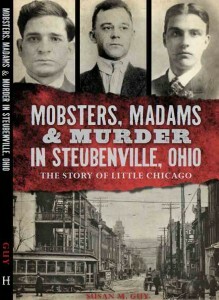 Click in and listen to Mobsters, Madams, and Murder author Susan M. Guy interviewed on The Outstanding Ohioans Show podcast. Visit The Outstanding Ohioans site for download locations, or download the .mp3 audio directly.